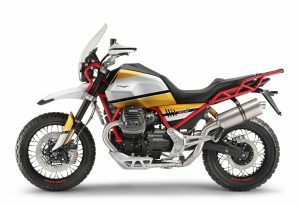 One of the most interesting concepts shown at last year’s EICMA motorcycle show in Milan, the Moto Guzzi V85 Concept seems to have received the “green light” from the management at the factory in Mandello del Lario and should be headed into production in 2019. 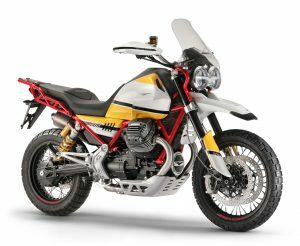 According to British website MoreBikes, who quotes Valentina Barletta, marketing director of Moto Guzzi in France, Moto Guzzi plans to have the V85 adventure bike on the market in the beginning of next year, and as such, we should expect that the final production version of this concept will be shown during next EICMA show in November. 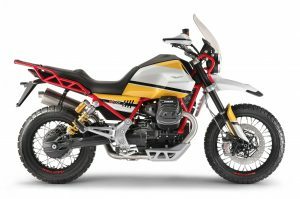 If this really is true, then this means that Moto Guzzi will be back at the adventure segment, which they’ve abandoned recently with the end of the Stelvio and even the Caponord which had the sportier and the Rally version for off-road riding. Mixing classic and new school design, the V85 concept is clearly inspired by the racing bikes we’ve seen on the Dakar Rally over the years. At the heart of this Guzzi there’ll be an 850 cc engine with its cylinders positioned in a V. This brand new motor will be used in a range of new motorcycles, and is capable of producing 80 hp. The rally inspired look with a matching paintjob, alongside the spoked wheels, shaft drive transmission, high mount front mudguard and twin-headlights will surely make this V85 a desirable motorcycle for those who want some easy off-road adventures. 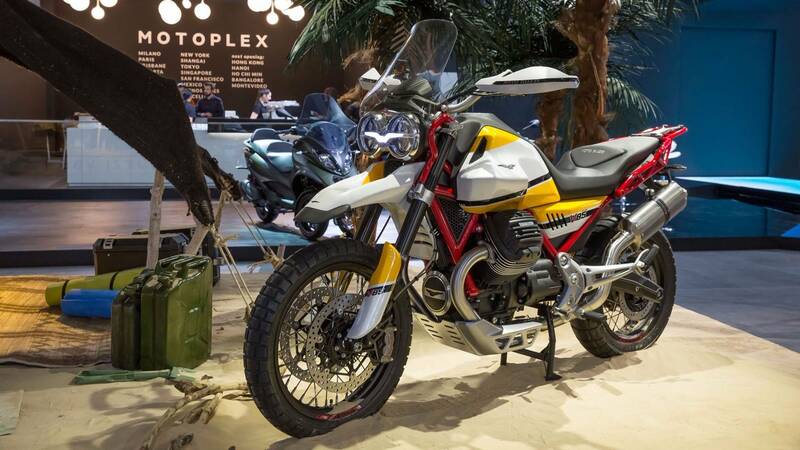 There’s no word yet about more details, but according to some European sources Moto Guzzi wants to place this bike on the market at a very competitive price: there’s talk of a value between 11.000 to 12.000 Euros, something around RM52000 to RM56700. Would you buy this Moto Guzzi V85 and take her for some off-road adventures? Tell us where in the comments below! I had a BMW r65. Light, responsive and fun. I replaced it with a BMW r1200 GSA. A great touring bike. Carries a lot, very powerful and reliable, but too much of a monster to want to take on a local ride. I’m hoping the V85 will do what both of the BMWs do. Tour for the long haul and also be desirable for a local ride. We’ll wait and see. Yamaha rolls out the 4,000,000th motorcycle manufactured in Malaysia! What if Dubai Police had a Kawasaki Ninja H2 for pursuits?